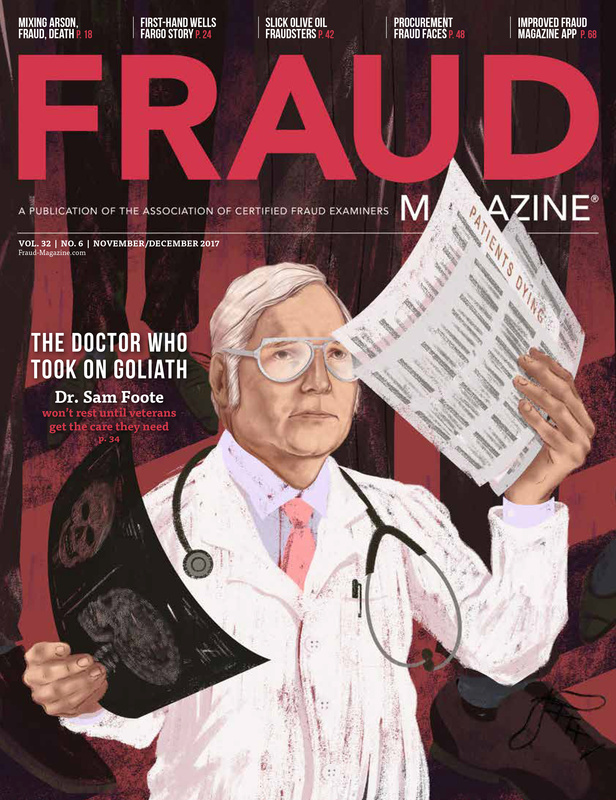 Sophisticated fraudsters may be able to conceal their frauds, but they may not be as adept in hiding their workplace deviant behaviors. 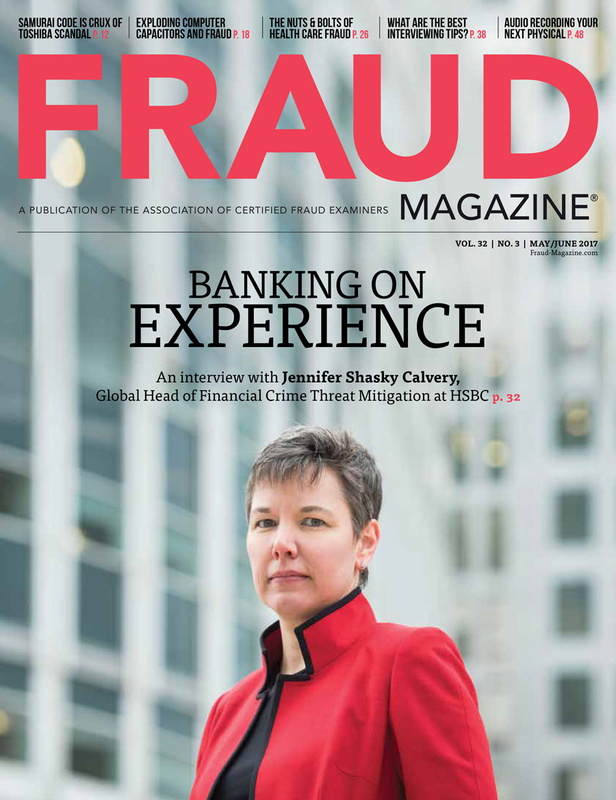 Identifying or recognizing a correlation between the two, even if the correlation is weak, could significantly improve the anti-fraud profession’s ability to uncover fraud. Revenue accounts are fraudsters’ favorite targets in financial statement frauds because they often contain the largest numbers and high volumes of transactions within general ledgers. As CFEs, we need to understand the underlying causes and motivations for overstating revenues. But don’t bury yourself in the ledgers; investigatory interviews and other analyses are imperative. Harry Markopolos, CFE, CFA, Madoff Whistleblower and 2009 CFE of the Year, encourages CFEs to go after the big frauds. 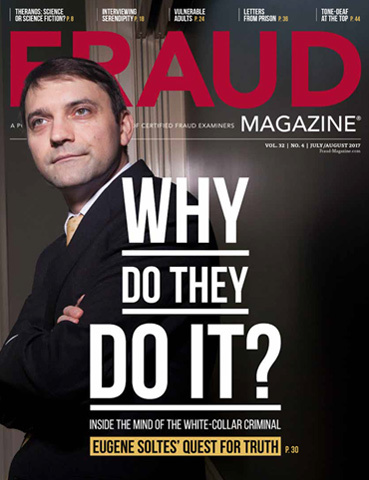 Here’s something you seldom see: a new CEO blowing the whistle on his own company. 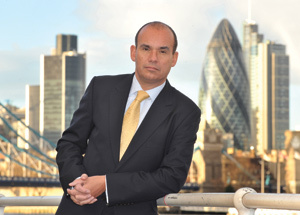 Michael Woodford challenged Olympus Corporation’s board on questionable transactions. Though the company sacked him, he’s winning in the court of public opinion. 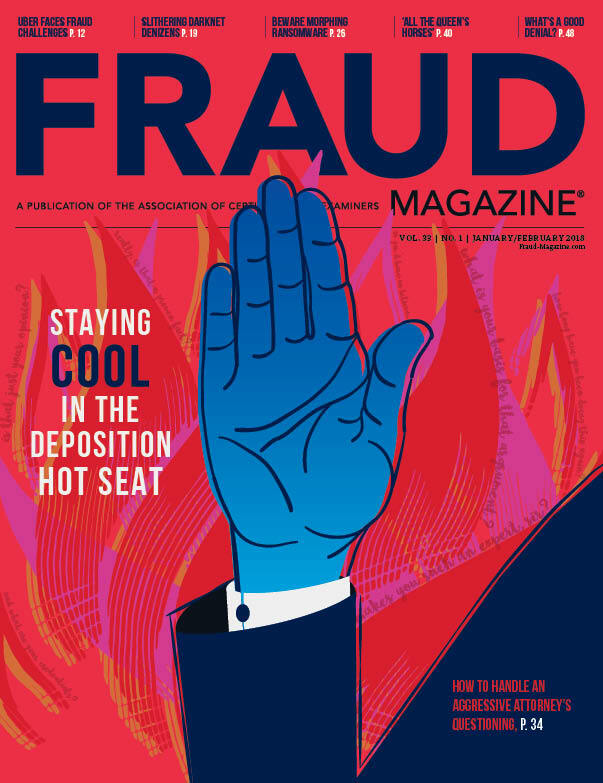 Explore the case study of Evelyn Reynolds, a trusted executive assistant, who embezzled more than $100,000 from a children’s charity for her own nefarious use. The authors outline how she did it and their investigation. Companies need to use technology and testing methodologies to uncover red flags and patterns that could indicate corrupt schemes and transactions. New tools on the horizon will help you search across virtually all of your data and information and even predict problems and vulnerabilities. 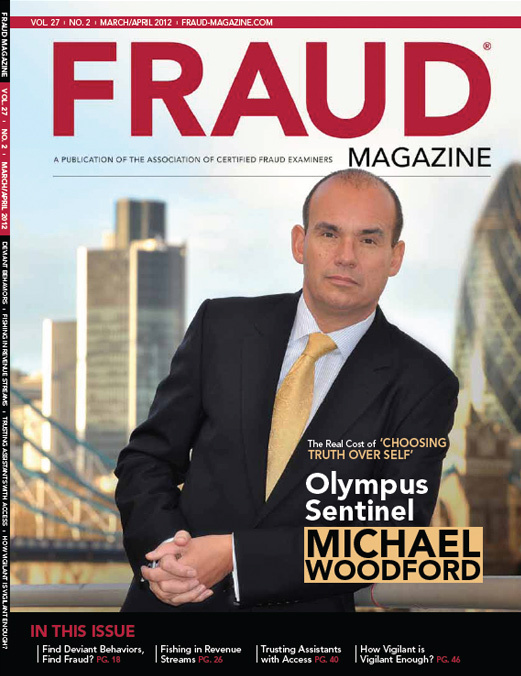 Should former Olympus Corp. CEO and whistleblower Michael Woodford be reinstated? View the current issue instantly on your computer! 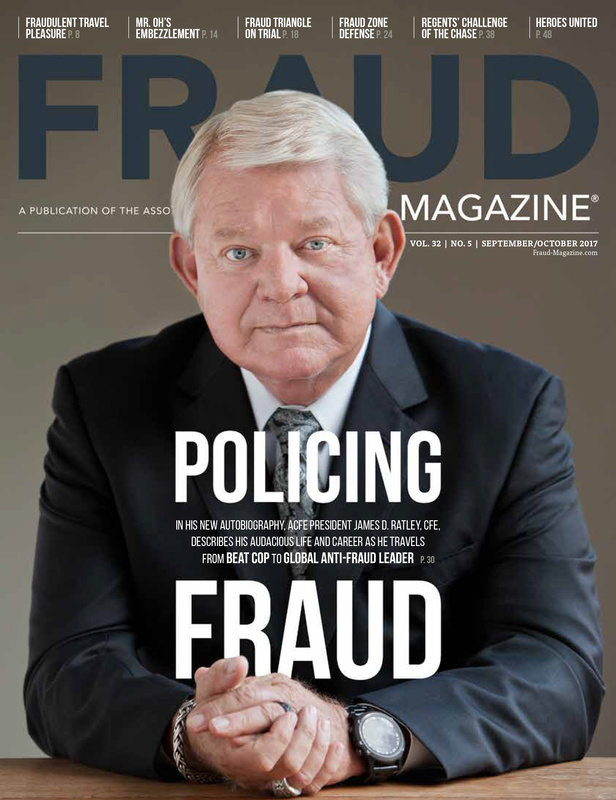 ACFE Members can view the digital version of the current issue of Fraud Magazine for free. How Will Higher-ed Programs Benefit Pros in an Evolving Specialization? Rogue Trader Intrigue: Why do They Continue to Gamble?